Downtown Gettysburg contains a hidden gem. 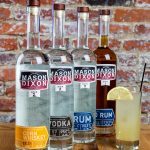 Off the beaten path, tucked in between Water Street’s industrial buildings, sits Mason Dixon Distillery. 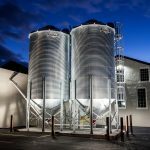 But, it won’t be a secret for much longer—the small batch distillery and restaurant is quickly becoming a favorite among locals. George Barakos (left) and his son, Yianni (right). Mason Dixon, owned and operated by the father-son team of George and Yianni Barakos, occupies the former Gettysburg Furniture Factory founded by a group of Adams County businessmen (also including a father-son team) around 1901. More than 100 years later, Mason Dixon Distillery is bringing the former factory back to life and writing a new chapter in its history. Yianni Barakos, 31, a second-generation Greek American, recalls building a working still based on his grandfather’s hand-drawn sketch—at the age of 11. “He was a coppersmith who was in charge of his village still, back in Greece,” Yianni says. Today, you could say that Yianni is running Gettysburg’s version of a village still. After earning a college degree in business administration, Yianni pursued a career path in the construction industry, working as an assistant project manager, still intrigued by the process of building things. In July 2012, a vehicle making an illegal left-hand turn in front of him caused a life-changing injury and a long recovery. It was during this time that Yianni decided to revisit his childhood dreams, create a business plan, and, as soon as his health allowed, open a distillery. “This 100-year-old building was an incredibly warm space,” Yianni says. 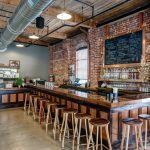 Original brick walls, exposed beams, and thick concrete floors harken back to the restaurant’s industrial past. 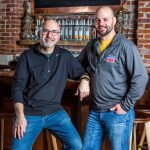 After a year-and-a-half-long renovation, the father-son duo opened Mason Dixon’s doors on July 1, 2016. 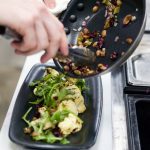 Offering small plates allows patrons to order a single plate as a snack accompanying a drink, or flexibility in ordering two or three plates for lunch or dinner. Shrimp & Andouille Hush Puppies, and deep-fried Brussels Sprouts paired with dried fruit, nuts, honey, and lemon, are two of the most popular items, Yianni says. 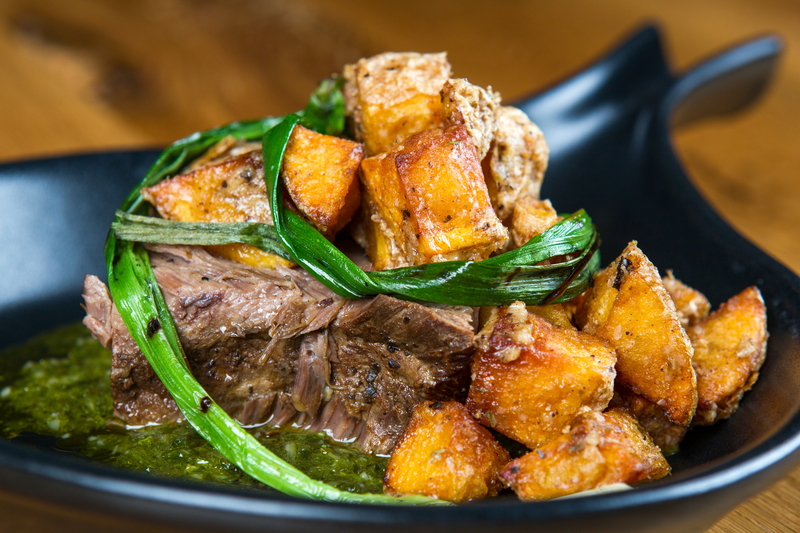 Seasonal dinner plates include Short Rib Recado—a slow-cooked short rib surrounded by potatoes, wrapped with green onion, sitting atop a bright green pool of tasty chimichurri sauce. 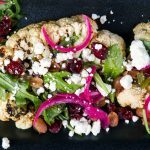 Grilled Cauliflower combines surprisingly sweet and earthy flavors; a thick cauliflower “steak” is topped with dried fruit relish, pickled red onions, and creamy chevre (goat’s cheese). Yianni has established numerous relationships with local farmers and producers including Hollabaugh Bros., Gettysburg Baking Company, Rettland Farm, Nell’s of Hanover, and Stone Ridge Manor. In an interesting exchange, Yianni delivers spent grains from spirits’ production to Stone Ridge Manor as cattle feed. During the summer, an on-site garden yielded radishes, tomatoes, kale, carrots, beets, and mint. Even the restaurant’s furniture was locally produced by Newberry Millwork, Aspers. Mason Dixon partners with local beer, wine, and cider producers that feature their products on their drink menu. Mason Dixon’s own spirits have historic roots: “We secured an ag lease to grow our grains on the Gettysburg Battlefield,” Yianni says. He is especially proud of the fact that Mason Dixon liquors contain “big character and flavor” without additives. “There’s no glycerin, citric acid, or sugar,” he says. Additionally, Mason Dixon makes its own syrups for truly hand-crafted cocktails including a Lavender Lemonade combining vodka with fresh lemon juice and lavender syrup. The Dark and Stormier features clear rum, ginger beer, and lime, edged with a molasses-swirled glass rim. Tours of the distillery are also available. George, who oversees the restaurant’s management and baking, says he and his wife have enjoyed moving to Gettysburg. Find them on Facebook and Instagram, too!